Here we give a chronological description of events that happened in the history of this parish. 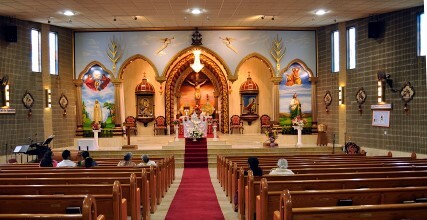 We grew from Knanaya Catholic Mission to two parishes. We acknowledge all those who worked to make this a reality. We specially thank the bishops, priests, and lay leaders who contributed much for this parish. Please click on the time periods in the pulldown menu above, to read the historial events.